In 2019, Wake Up Festival welcomes its tenth year as one of the world’s most iconic music festivals. 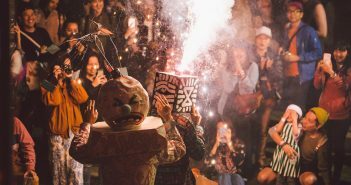 The festival’s winter imprint Warm Up Festival will kick off in Taipei (from Jan 25 to 27) with nearly a hundred artists from Asia performing on 15 stages in relay. 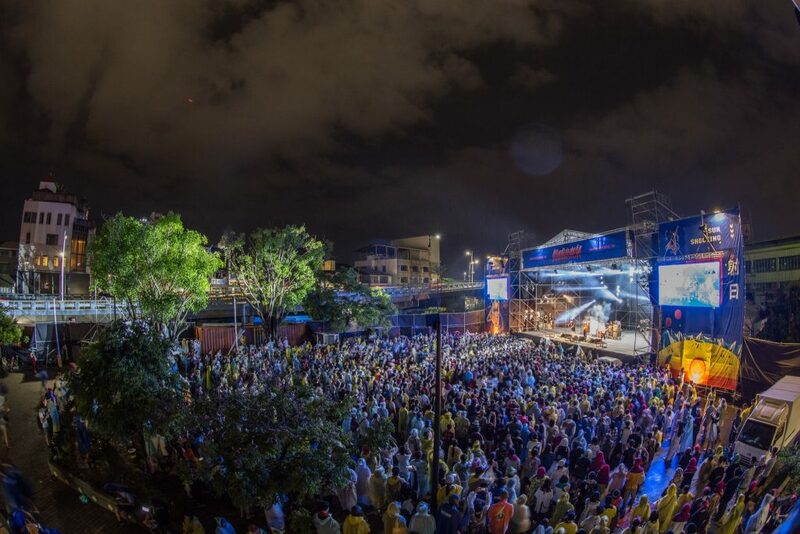 It will make history by having the largest number of stages ever seen at a music festival. 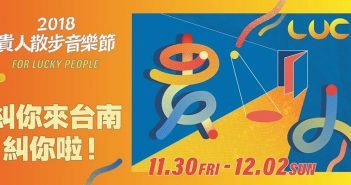 Our lineup in Taiwan will include anpu, who has recently reclaimed her given name and is back in the musical arena after a lengthy sabbatical. Under her pseudonym, Deserts Xuan, the singer-songwriter has published four albums, including the smash hit “Baby”, which catapulted her into fame. Her soul-healing melodies and lyrics that reverberate with the pulse of society have won her many prestigious music awards. We will also be joined by Suming, whose music is rooted in nature and his native soil. His bright and warm voice has the ability to convey deep emotions with authenticity and clarity, which is why even those who do not speak the Amis tongue are still able to be deeply moved by his songs. It should come as no surprise that Suming is no stranger to Taiwan’s most prestigious musical award ceremony, the Golden Melody Awards as well as several other musical and film awards. In terms of bands, naturally we have well-established bands with a solid fan base — such as 929, The Chairman, Fire EX., 88 balaz, The Peppermints, Hello Nico, Sorry Youth, and Frandé — but we also have the up-and-coming new stars — including EggPlantEgg, Your Woman Sleep with Others, and Bisiugroup. Elephant Gym, Sunset Rollercoaster, and The Fur. have a wide international following for a reason, so don’t miss out on their performance. 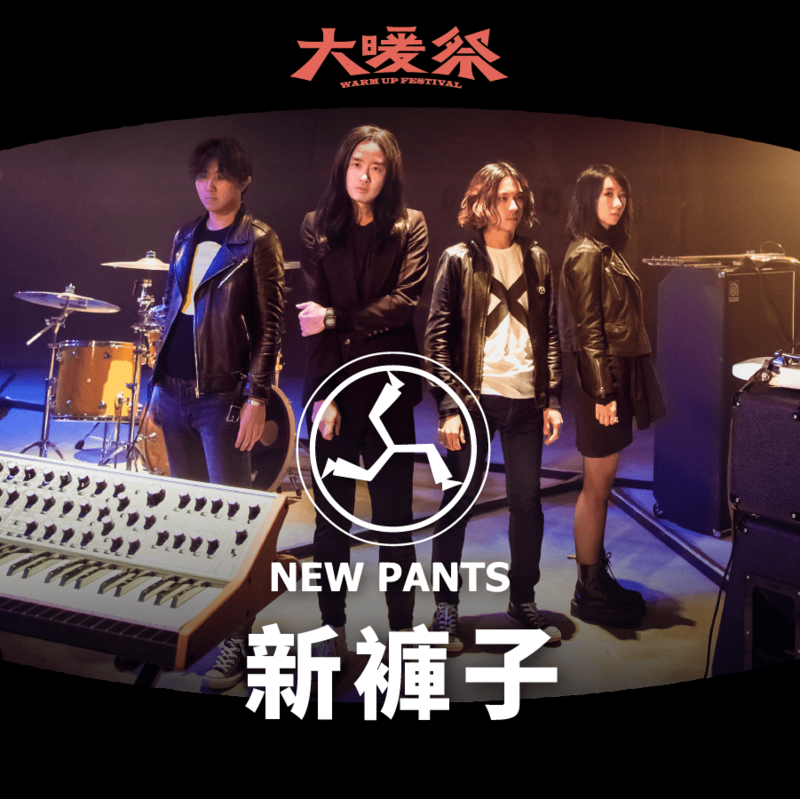 Chinese band New Pants, founded in 1996, specialize in retro punk and disco style music. Their strong beats, which are always highly conducive to dancing, are paired with lyrics that offer insight to the rapid changes of the world and the trials of life. 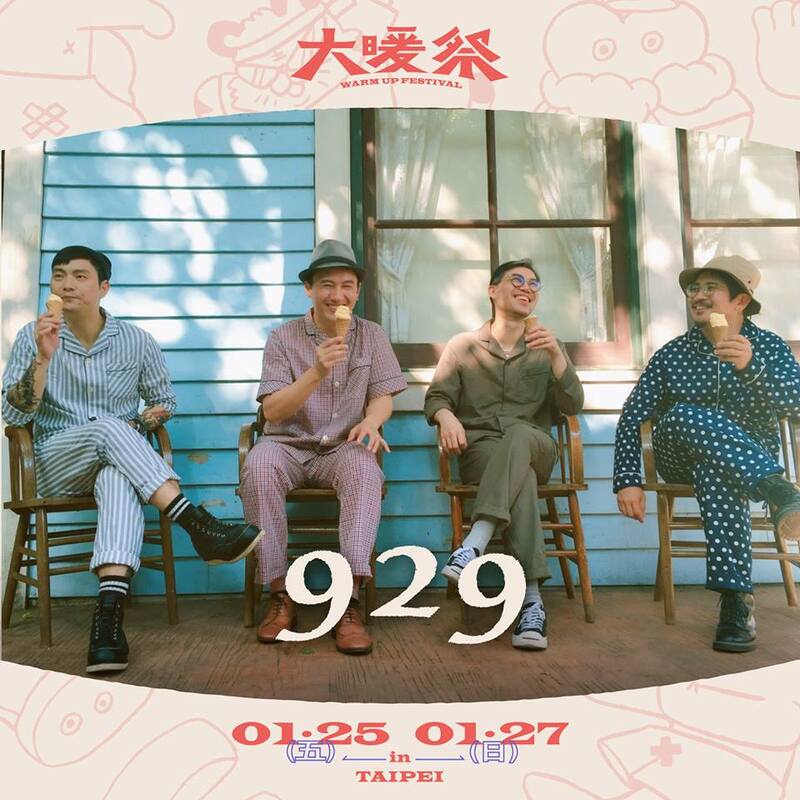 This unique musical aesthetic has not gone unnoticed by China’s pop culture, thus the band has been dubbed “China’s poshest band” by international media. 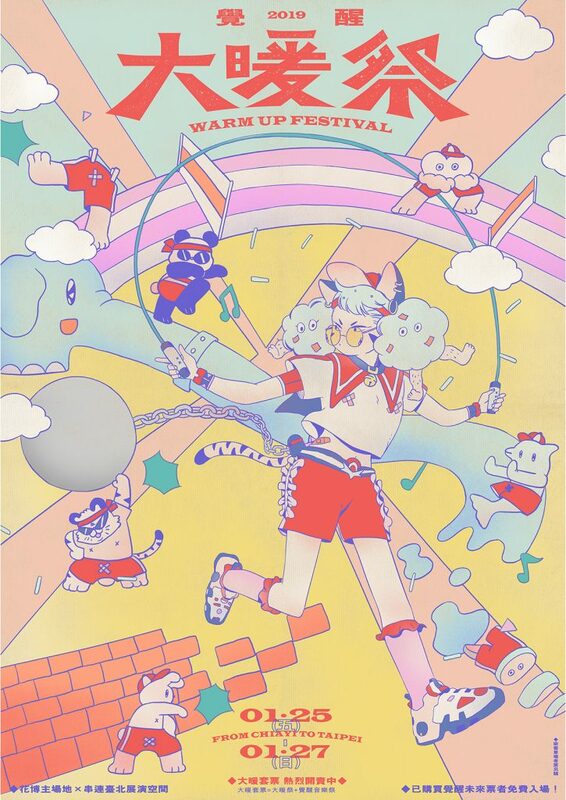 We are also pumped to announce that legendary Japanese band The Birthday will give their first ever overseas performance at Warm Up Festival. For over a decade, the band has kept their fans enthralled with blues rock, punk rock, and their visceral and wild performance style. Be prepared to let lead singer Chiba Yusuke’s signature raspy voice propel you into a full-on world of rock music. 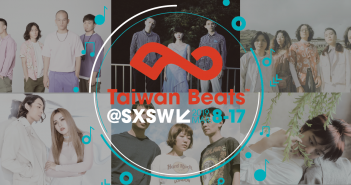 Gym and Swim (Thai) is a highly popular indie band with cozy and relaxing brand of music that instantly transports listeners to a sunny, breezy beach. The band has been taking all major Thai music festivals by storm since 2016 and are met with even wider popularity in Japan. Now, let Gym and Swim bring some much needed Southeast Asian warmth to the frigid winter of Taipei.